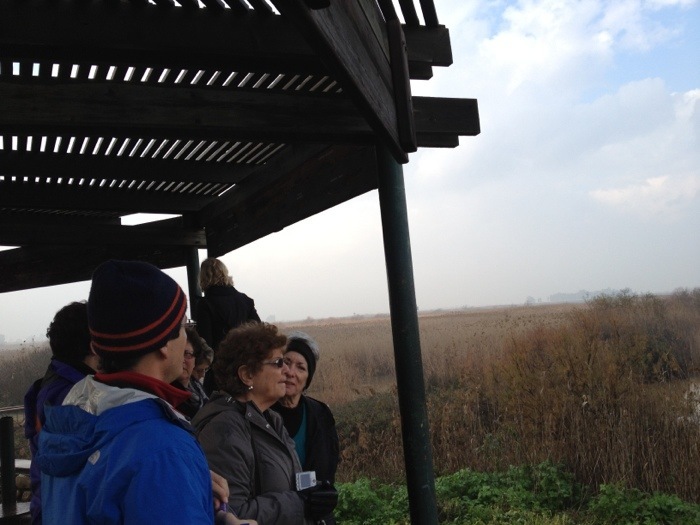 Beyond the politically and historically related stops on our travels, we now stopped at an environmentally important area : the Hula Valley Nature Reserve. Originally much of Israel was swampland and was drained to make it habitable for the settlers. What was not known at the time was that this area is an important migratory stop for millions of birds- 500,000,000 annually. 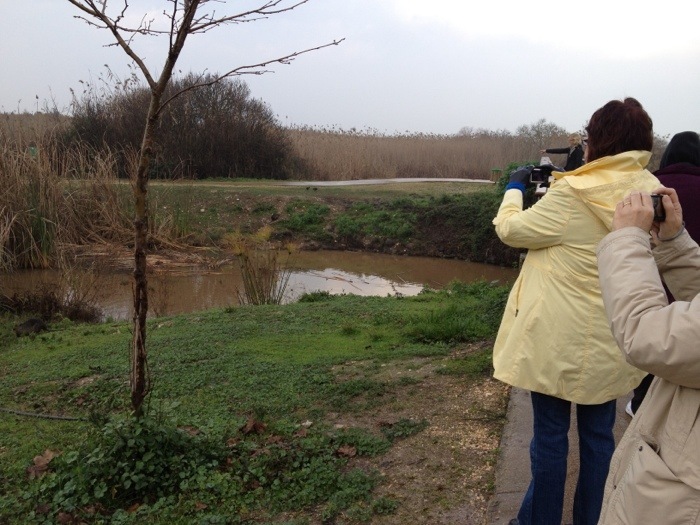 Because the swamp is necessary as a stopover, an Israeli environmental group helped create this area, where they re-flooded a portion of land to recreate the swamp needed for the birds to stop over. We learned all this through a very ‘moving’ show that was very similar to a Disneyland ride back home. 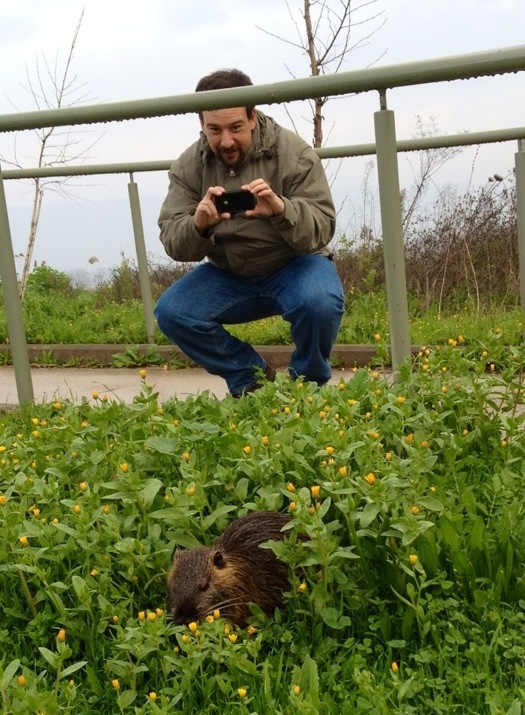 We then walked out deeper into the reserve to observe some birds and R.o.u.s. 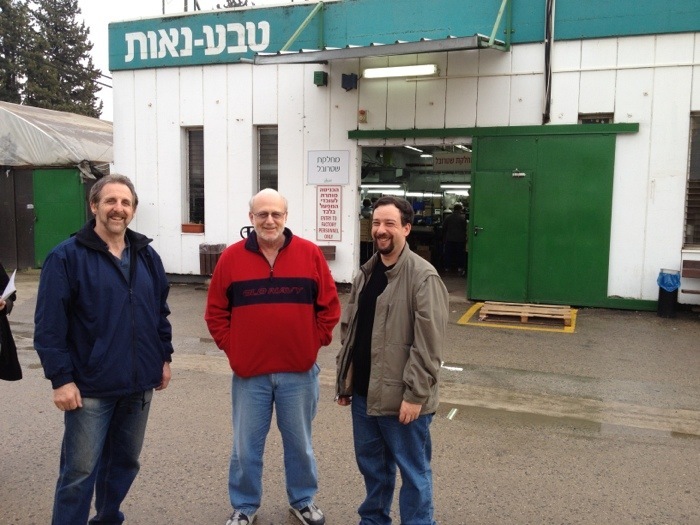 We found ourselves with some extra time and Rabbi never passes up a shopping opportunity so we made a brief stop at the NAOT shoe factory. Here you can see the shopping in progress as well as the ‘Men’s Waiting Area’ outside.